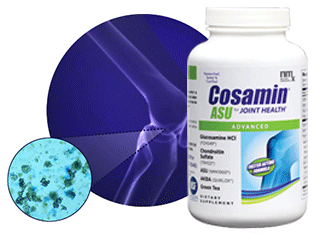 Click here to learn about our in-office programs that put Cosamin®ASU in your patient's hands quickly, easily, and conveniently. 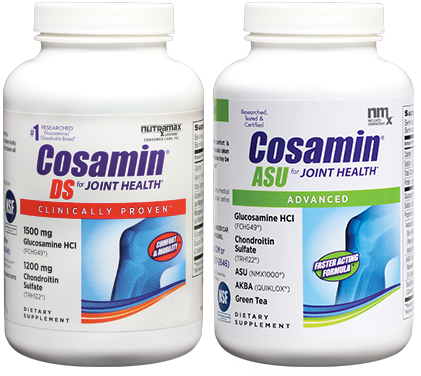 ▲Based on US studies published in peer review journals the Cosamin® brand is the most researched glucosamine/chondroitin sulfate brand. 1“Leading Joint Supplement" includes top 10 brands based in part on data reported by Nielsen through its AOD Service for the Supplement Category for the 52-week period ending 12/30/17, for the U.S. market. Copyright (c) 2017 Nielsen.